Whoops! 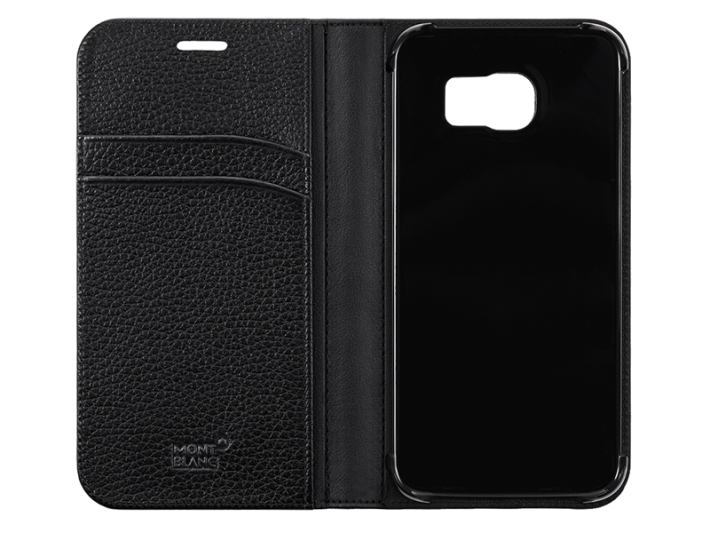 Montblanc jumped the gun a little early and posted its luxury leather covers for the Samsung Galaxy S6 and S6 Edge on its website ahead of the official launch this weekend. The page has already been taken down, but lives on in Google’s caching servers for us to have a look at. First up, the listing confirms the two names and variants of Samsung’s latest flagship. Secondly, Montblanc will be offering a range of luxury covers for the two handsets. The selection comprises two leather flip covers, one soft grain and one designed to be resistant to abrasion, water and heat, and another hard-shell cover for each handset. Montblanc and Samsung have previously teamed up to offer some rather expensive leather covers for the Galaxy Note 4 and Note Edge, and the selection for the Galaxy S6 look to be equally plush and probably just as pricey. All six covers will be available at Montblanc Boutiques and on Montblanc.com from the beginning of April 2015.